This web site was put together by two geologist with widely differing backgrounds. We have the capability to serve various industry needs as a supplement to your existing consultants or to assist your in house team. We have the capability and knowledge to to do workshops in house for your firm or for public out reach programs. We can also assist you in putting together a consulting team whether for land development or identifying targets for natural resources. Along with the geology expertise we have the capability to understand the real estate issues and assist with feasibility studies in the acquisition of land with extensive commercial, industrial, and residential real estate experience. If you are going to build or are looking for your dream property on the hillsides of Greater Cincinnati you are in the right place. We can work with the developer, individual or transferee on residential pre-purchase inspections (geo hazards), or the homeowner who is trying to assess the level of severity of his/her problem. Please don’t hesitate to contact us. Tim has an M.S. in engineering geology from the University of Cincinnati. His engineering geology study for the City of Cincinnati covering a 170 acre hillside area relates past land use practices to landsliding. The study is utilized by the City of Cincinnati Geotechnical Division and the City Planning Department. Tim’s MS work was instrumental in making the link between past & present land use practices and the never ending cycle of landsliding. Tim was the field leader for the Northern Kentucky Landslide Workshop which was sponsored by the Kentucky Geological Survey and the Northern Kentucky Area Planning Commission. Tim is a Kentucky Registered Professional Geologist (there is no license law in Ohio) and recognized nationally as a Certified Professional Geologist through the AIPG (American Institute of Professional Geologists). Tim has extensive field experience as a consulting engineering geologist specializing in landslide recognition, perception, and the impact on the devaluation of real estate throughout the tri-state region. Tim has been extensively involved in landslide workshops that have been sponsored by the Kentucky Geological Survey, the Boone, Kenton, and Campbell County Soil & Water Conservation District, the Northern Kentucky Area Planning Commission, and the Cincinnati Area Board of Realtors. Tim has been co-teaching with Barry Maynard a highly rated continuing education short course to the Cincinnati Area Board of Realtors on the Geologic Hazards of Greater Cincinnati since 2003. As a trustee for The Hillside Trust and sitting on the Land Use Advisory Committee whose purpose is to review hillside development proposals submitted by various governmental bodies in the tri-state region has given Tim invaluable experience in tri-state development practices. Additionally, Tim has over 20 years experience in the real estate field as a Realtor® and as a licensed Ohio real estate broker. As a Realtor® Tim has experience in residential, commercial, industrial transactions, and in property management. Tim’s experience includes work as a fiduciary managing a 40 million dollar portfolio for a national bank. Additionally Tim has extensive residential sales and appraisal experience. Tim holds several high level designations in the real estate industry including the Worldwide Employee Relocation Councils (ERC) prestigious Certified Relocation Professional designation (CRP) and the Institute of Real Estate Management’s (IREM), Certified Property Manager designation (CPM). 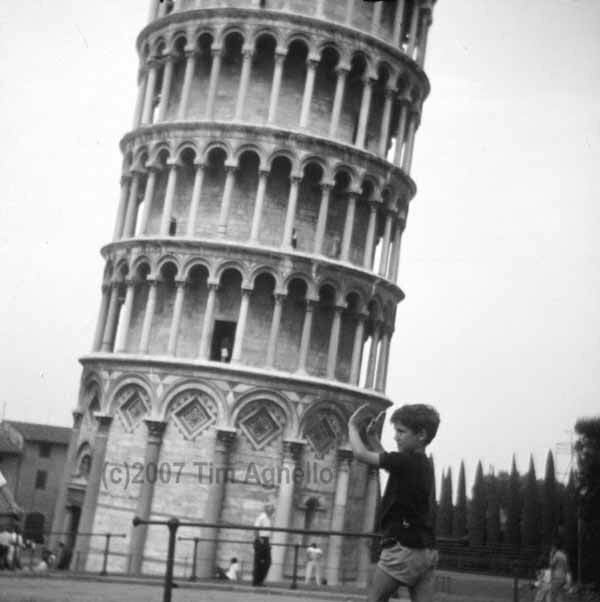 Tim likens the landslide problem facing the tri-state region of Ohio, Kentucky, and Indiana to the same issue Italians face with the Leaning Tower of Pisa. Construction of the tower commenced in the year 1173 and was completed in 1350. The Italians spent 177 years trying to build the tower straight (today it is shaped like a banana!) This time period is equivalent to the European history in Greater Cincinnati (founded 1788). Since 1350 the Italians have spent 650+ years trying to save their icon. The Greater Cincinnati hillsides are our Leaning Tower of Pisa! Barry is Professor of Geology in UC’s College of Arts and Sciences, where he has taught since 1972. He is the author or co-author of 6 books on geology, including “Mud and Mudstone”, Springer 2005. He has extensive research experience in environmental engineering, including groundwater contamination and acid mine drainage, and has consulted for mining companies in South Africa, Australia, and Mexico. He has taught geologic aspects of slope stability to students in geology and engineering since 1990.